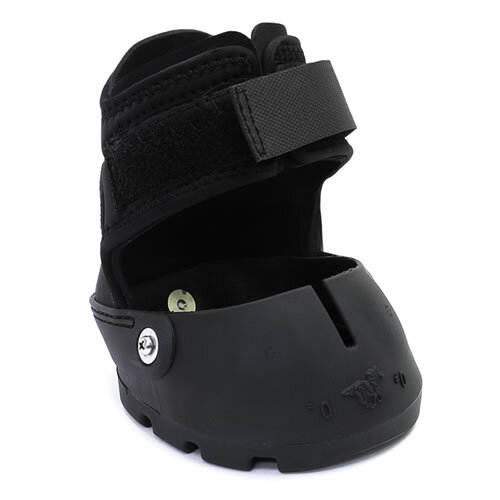 The Equine Fusion Active boot consist of the cone locking mechanism and a heel design which enables the unrestricted natural movement of the heels, and padding in the front of the shoe for comfort. 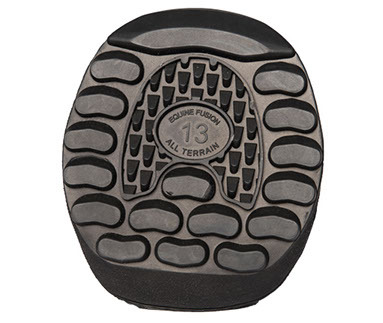 The Active boot has the well-known All Terrain sole with a unique tread design which provides excellent grip with an optimal break over, and great dampening and stability. The testing was carried out at The Swedish University of Agricultural Sciences showed that the All Terrain sole reduces the maximum loads on the hoof at the early landing/ touchdown phase. 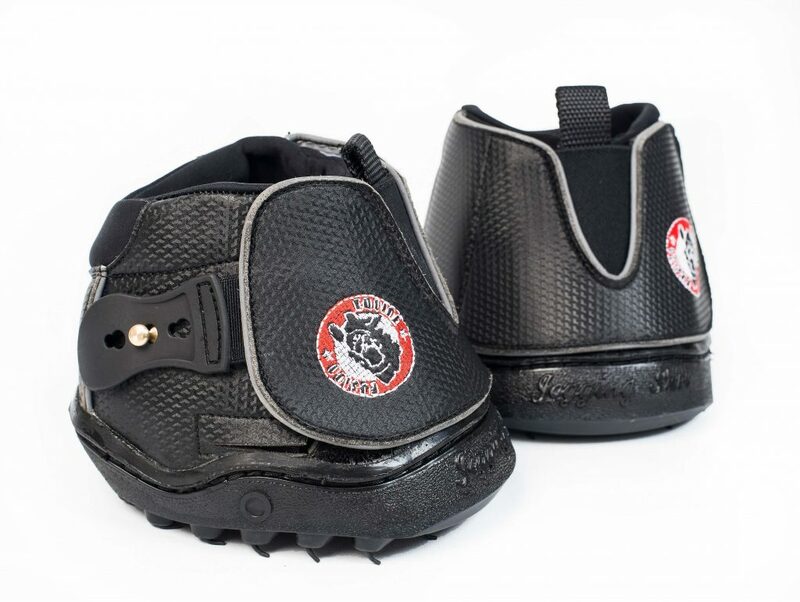 The engineered flexible and elastic boot, allows the hoof to sink into the rubber sole and allows the hoof to have full contact with the sole to secure natural blood flow and hoof functions. The primary advantage of Active boot is the remarkable wide-ranging suitability for rehabilitation, terrain riding, and jumping. The boots can be used for turnout in paddock/fields. 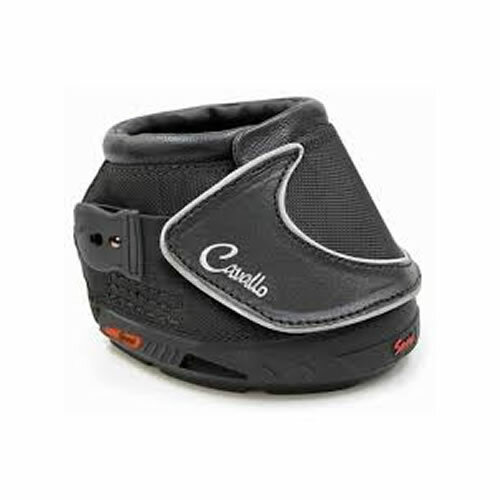 With the improved rubber sole the Active boot provides the horse with more dampening and stability. Additional padding in the front.